With terminals in Georgetown and Louisville, Kentucky; and a new operation in Charleston, SC, Phoenix Transportation Services has earned a reputation for on-time delivery and outstanding customer service. Phoenix credits its ultimate success to the quality of its employees, who take pride in everything they do. Experience matters, but what matters more are good interpersonal skills, a great attitude, and a commitment to teamwork. Technology also contributes greatly to the success of Phoenix. By means of an elaborate satellite tracking system and sophisticated reporting mechanisms, the company is able to maintain critical data, such as truck routings, rates of speed, and frequency of stops. 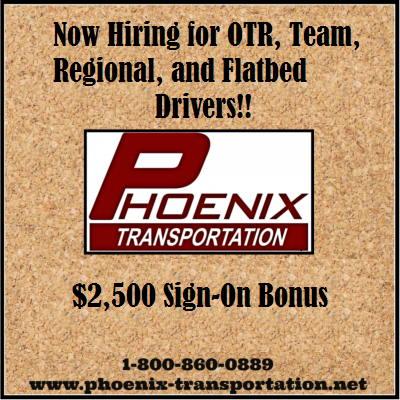 Click here to join our expert team of drivers out on the open road.